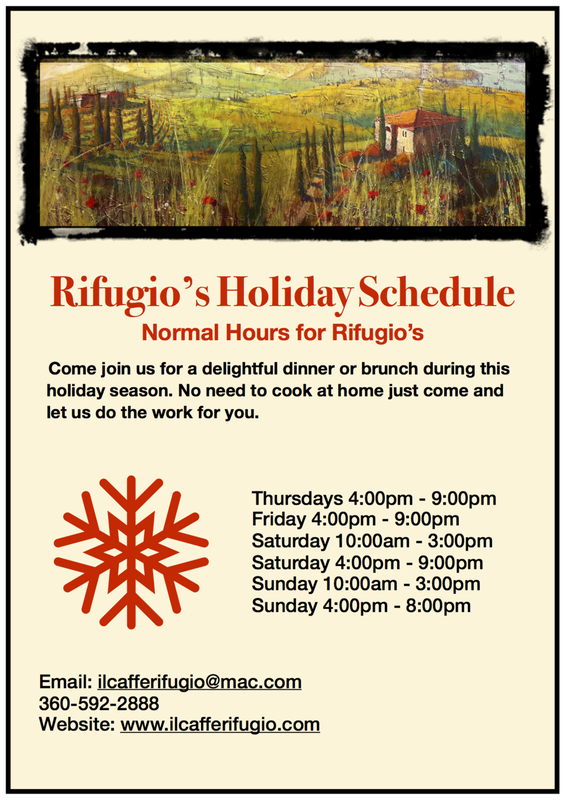 Have you ever wanted to attend an intimate event, have great food and experiences, Rifugio's specializes in small gatherings of like minded people that want good stories and great food in a relaxed atmosphere. Its ones a month normally the 1st or 2nd Sunday. The 7 courses are inspired by our Sicilian upbringing and visits to Italy. For Details check our our events page or Feasting Dinner menus. The Feast of Februa went off wonderfully. We had an old friend Jon Inonueri that is now working at a high end Seattle Restaurant come up and work the event with us. With our current staff and Jon who used to work at Rifugio's made it a smooth event for a sold out evening. The Octopus and Lamb were the stars of the event. At Rifugio's we are in love with food and have a "Passion" for excitement and history. We strive for a warm and comforting environment and learning about where our food and culture come from. We love stories real and fictional. We are so glad that we are able to have both Feast and Valentine's Day which has its roots in the old legends of Februa.